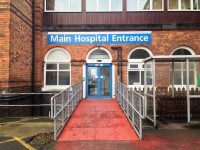 The Main Hospital Entrance is located at the side of the hospital building. This venue is situated in Birmingham. The nearest mainline station is Jewellery Quarter. There are 5 designated parking bay(s) within the car park. 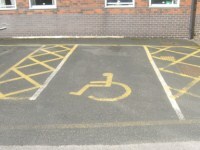 The dimensions of the designated parking bay(s) are 360cm x 500cm (11ft 10in x 16ft 5in). The nearest designated bay is 82m (90yd) from the Main Hospital Entrance. 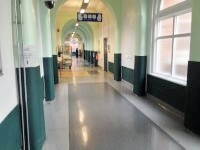 The furthest designated bay is 100m (109yd) from the Main Hospital Entrance. 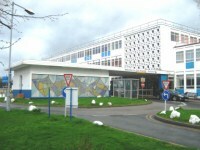 The drop off point is located at the front of the Main Hospital Entrance. You are on Level Change (Main Hospital Entrance). Skip to the next section. Route finding signage is available. 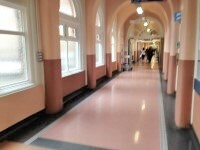 There is fixed seating throughout the main spinal corridor. You are on Lift (Lift 8). Skip to the next section. 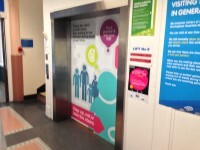 The lift is located off the main spinal corridor. 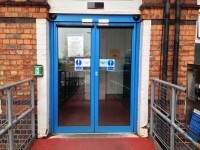 The lift is 8m (8yd 2ft) from the Main Hospital Entrance. The dimensions of the lift are 170cm x 240cm (5ft 7in x 7ft 10in). The controls for the lift are not within 120cm from the floor. The lift controls are 130cm high. 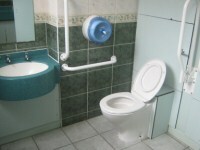 The accessible toilet is located on the second floor of the main spinal corridor. 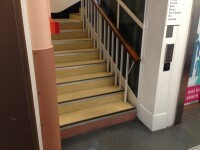 The accessible toilet is 8m (26ft 3in) from the lift 8. 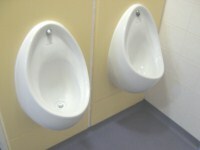 This is a male only toilet. 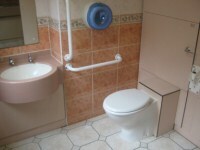 The dimensions of the accessible toilet are 150cm x 188cm (4ft 11in x 6ft 2in). The towel dispenser is 140cm (4ft 7in) high. 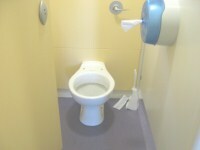 There is an identical female toilet on the first floor main spinal corridor. The female and male toilets are located off the main spinal corridor. The female and male toilets are 14m (15yd) from the Main Hospital Entrance. You are on Additional Info Health. Skip to the next section. Disability awareness / equality training can be provided for hospital staff. The most commonly produced documents could be provided in other formats. Documents in Braille, large print, audio and different languages format can be requested. Assistance dogs are allowed in most areas of the hospital. Areas with a high risk from infection, such as intensive care and wards should be contacted in advance before accessing with assistance dogs. Switchboard staff are Text Relay aware. Help with luggage is generally available for inpatients. 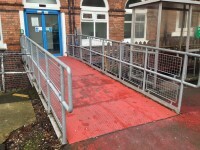 The mobility aids available include mobile hoists, ceiling tracking hoists, wheelchairs, tri wheel walkers, shower chairs, commodes, walking sticks, walking frames, hoist slings, adjustable beds and crutches. Portable hearing loops can be provided on request.